JACOBS DREAM BLACK SOULS LYRICS"
When the king gave up his throne. Through his flesh and bone. His queen enchantres believed the dragon's lie. Their souls infected and now began to die. Dominion lost to the gates of hell. Vile pride brought death and fear. Legacy of the black souls. Sorrows grow in a sea of tears. And bring an end to the age of sin. The nails were pounded, the blood began to flow. The horde defeated with a single blow. Behold the potion that broke the dragon's spell. Is now alive and well. The sacred blood, the broken spell. Lightning crashed through the gates of hell. 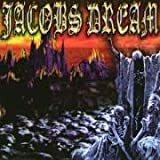 All Jacobs Dream - Black Souls lyrics are property and © copyright of their respective owners. All Black Souls lyrics provided for educational purposes only.